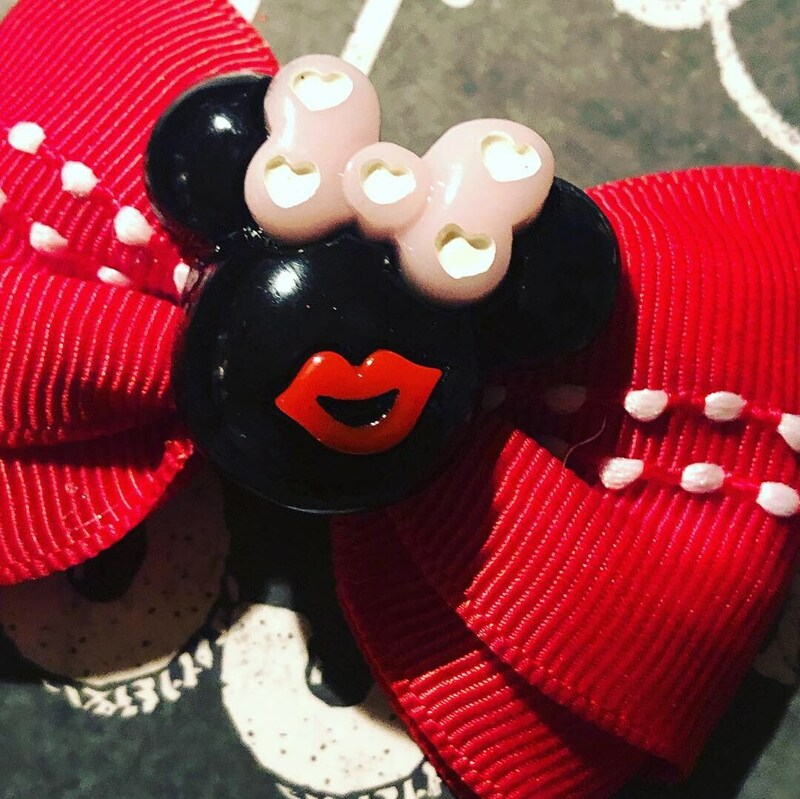 This red Valentine’s Day Minnie Mouse bow is absolutely adorable for the most loved pet. The bow is approx. 2" in length. They are made with high quality 1.5" red/white grosgrain ribbon and a super cute Valentine Minnie Mouse centerpiece. 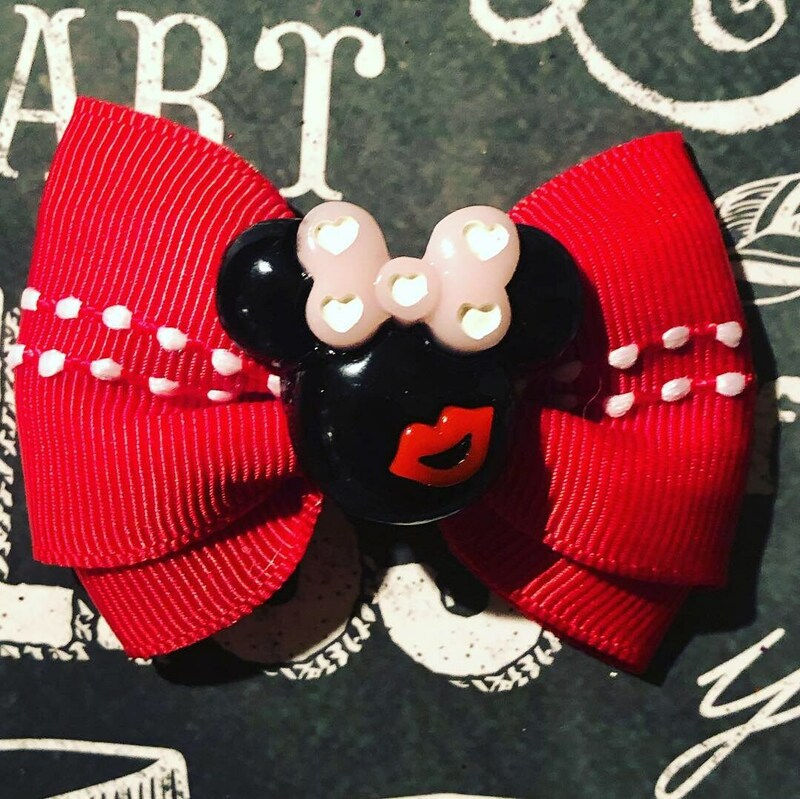 Bows are sold individually or as a set of two and can be added to a 1.5” french barrette, 1 3/4" alligator clip, groomer's bands, or Elastic for collars if you are purchasing them for your furbaby.